Using relevant and creative hashtags is one of the coolest and most influential features of Instagram. Instagram shows the posts with the hashtags most often followed by the users in their newsfeed. These posts are also from the accounts they are not following at the moment. Try to include all the relevant and trending hashtags in your posts to increase its chance of reaching the maximum number of audience. People following a current trend are most likely to get your post in their newsfeed if your post has the relevant hashtag. This increases your chances of getting more followers and traffic on your profile. Instagram algorithm`s decision of the order of appearance of posts in the newsfeed is based on hashtags too. Instagram has introduced a new feature of following Instagram hashtags to let people decide which hashtag to follow and which one to ban. Though this is a great feature for users, it creates a problem for posters. People can not only choose which hashtag they want to follow but can also ban a certain hashtag by selecting ‘Don’t show post for this hashtag.’ If a follower banned some of your hashtags, you are more likely to appear less frequently on their newsfeed. With the introduction of this feature, users can follow you based on your tagged content and also stop viewing your posts by same tagged content by their likeness and interests. We have recently witnessed the Instagram shadow ban case which was the result of these hashtags. To avoid getting blocked, you must keep on rotating your hashtags and create and use fresh hashtags as well. Later is one impressive app to help you with its Saved Caption Feature. This feature will help you in managing your hashtags. You can save your hashtags and use them when needed. It also helps you in scheduling your hashtags so you won’t end up posting similar hashtags more often. The Instagram algorithm can easily recognize sponsored and paid comments usually made by machines. Therefore, you should either buy comments and followers from authentic sources only or avoid it altogether if you are not sure how the seller is going to help. Not playing your cards right would make you lose your credibility and authenticity on the Instagram algorithm, which will result in a decline in the visibility of your posts. Play fair and don’t think of yourself too smart or you will end up in harming your validity. You will soon lose your followers and genuine buyers. If you are a genuine Instagram account holder, then you need to prove your legitimacy and stand out from the bunch of cheaters. With the robotic comments all around, change the way of your commenting into a conversation. Interact with your viewers and initiate a conversation with them in comments instead of just saying good, great, nice, and all. Also, alter the style of your captions either into a question or in an engaging text. The more engaging your caption and comments appear the more are its chances to get approved as genuine and authentic by the Instagram algorithm. With the advances in AI and analytics, it is possible to easily spot the comments of bots. This is exactly why you need to have comments that appear natural and different and not forced. Getting followers and comments is important, but it is also important to have quality engagement. 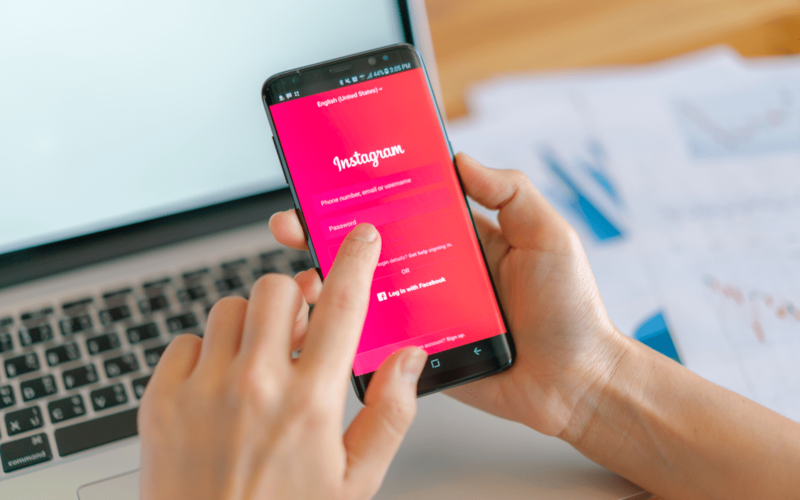 It is important to note that your posts are going to perform better on Instagram if you decide to use all their features from time to time. Keep in mind that Instagram will keep rolling out new features, but it appreciates your interest in using those features. Therefore, you should consider trying those new features and see how they can help you with your marketing campaign. The Instagram algorithm will appreciate your interest and rank your posts high. The idea behind rolling out new features is to give users a greater experience. And with so much of effort going into the whole exercise, it certainly will help to be a part of the exercise and use all the features. So, understand that Instagram algorithm tries to give the users the best content, and they will use a different mechanism to determine what is best. Be sure to learn it and tweak your posts accordingly to reap amazing benefits. When you use Instagram to update your followers, it would also help to stay updated yourself. Be aware of all the new features and updates of Instagram to stay ahead.